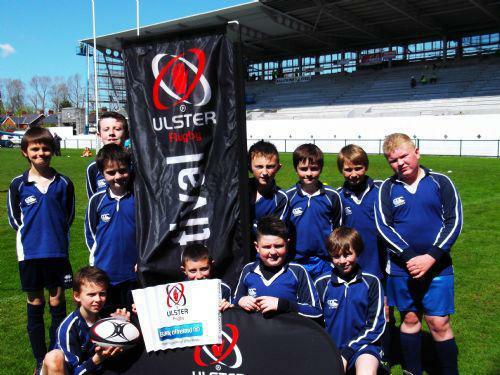 The day finally arrived on Friday 17 May for our rugby squad to travel to Ravenhill, Belfast to take part in the Ulster Primary Schools Mini Rugby Blitz. 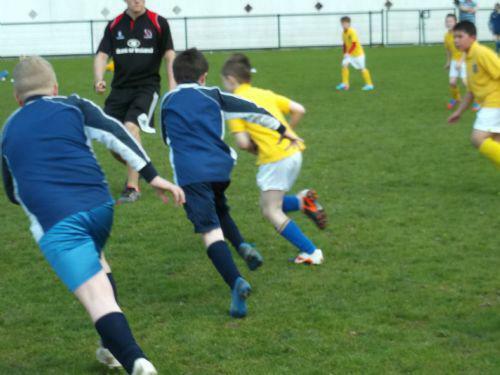 The sun shone down on the boys as they played matches against teams from Dickson PS, Lurgan, Fairhill PS, Dromara and Whiteabbey PS. 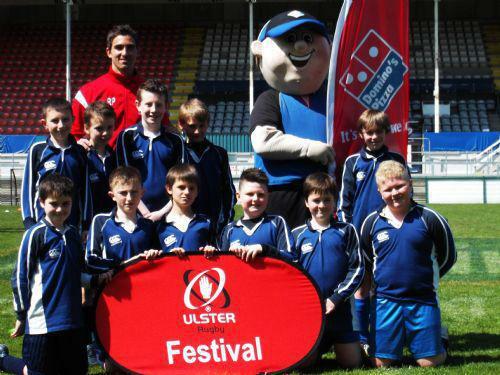 The boys all received free t-shirts and pens, complimentary Domino's Pizza for lunch and an unexpected visit from an Ulster Rugby team player-Ruan Pienaar! 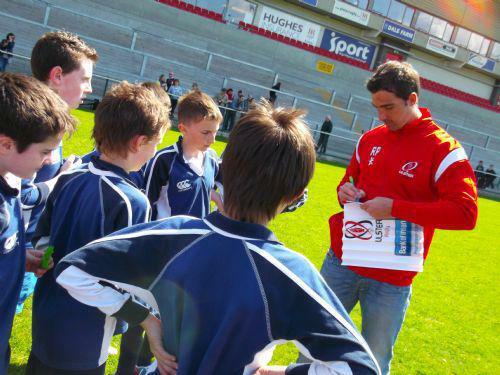 Ruan chatted to the boys and signed their t-shirts and our school rugby ball. He even had time for a photocall with Miss Stevenson and Mrs Stewart!